Hyundai will introduce its all-new premium Genesis brand without a single stand-alone dealership. It’s a bold — and unconventional — approach when one considers that Honda launched Acura in 1986 with 50 new dealerships, Toyota launched Lexus in 1989 with 81 new dealerships, and Nissan launched Infiniti the following year with 51 new dealerships. “We wanted to launch our brand in, really, a very short period of time,” says Erwin Raphael, General Manager at Genesis Motors USA. Accomplishing in nine months what took others many years is a challenge, but he is quick to point out that his company didn’t want to delay the launch — building a new dealer network, which includes licensing, dealer agreements, permits, and construction, requires far too much time. Genesis is, “ready to go now,” says Raphael, understandably alluding to the all-new G90 flagship full-size sedan that it recently allowed automotive media to drive. The six- or eight-cylinder luxury car, with available all-wheel drive, is exceptionally quiet on the road and its list of standard features is impressive — I’m convinced the inaugural product is exceptional. Yet all brands need more than one car to carry a badge. With that in mind, a slightly smaller four-door, coined the G80 (nobody is hiding the fact that it is really a rebadged Hyundai Genesis sedan) will accompany the G90 under the bright lights in Hyundai showrooms. That’s correct — the Genesis fast-track to put consumers in sumptuous semi-aniline leather upholstered seats employs the existing Hyundai dealer network. There are more than 800 Hyundai dealerships nationwide, which is a strong footprint, but not all will make the cut and be allowed to operate as a hybrid Hyundai-Genesis dealer. “We’ll have less than 350 of those — hopefully even less than that. I’d like to get down below 300 or so,” clarifies Raphael. Each dealer will be qualified on the new product (sales and service), and trained on how to deliver a premium experience to the buyers. “We have the Genesis Institute that we set up and we train them.” The new Genesis product will be featured in special branded areas. Think of them like the “Magnolia area within a Best Buy... like a separate store within a store,” he explains. Eventually, Genesis does plan on launching a stand-alone dealer network, much in the same manner of Acura, Lexus, and Infiniti, but the company appears content with its expedited, cautious, and much less expensive, wait-and-see approach. One thing is for sure — Hyundai is in no hurry to build out a new dealer network. “It’ll take some number of years… you’ll start seeing some elements of separation in about three or four years, and by five years you should see some level of individual stand-alone stores. It’ll still be sometime after that when we’ll have a fully-separated brand,” adds Raphael. Stand-alone dealerships offered Acura, Lexus, and Infiniti the ability to deliver a premium shopping, buying, and service experience within a traditional brick-and-mortar building — keeping the new upscale clientele away from mainstream Honda, Toyota, and Nissan customers. To mimic similar separation, Genesis is countering with a concierge program that will not only deliver a loaner vehicle to the owner’s home or place of work when service is required (complimentary maintenance is included for 3-Years/36,000 miles), but allow new customers to sign sales and lease paperwork offsite — in theory, connected consumers with a smartphone app may find no reason to ever visit a Genesis retailer. Launching without a stand-alone dealer network will be a challenge, but it isn’t the only steep hill that Genesis will be climbing. As a refresher, Acura, Lexus, and Infiniti each launched with premium flagship sedans (the Legend, LS 400, and Q45, respectively), but those headline acts were soon accompanied by a smaller, less expensive, unique volume models to expand the potential audience. Acura rolled-out the Integra, Lexus offered the ES 250, and Infiniti introduced the M30. In contrast, the Genesis G90 and G80 are both large luxury sedans that closely resemble each other — differentiating the two vehicles to consumers is vital — and the cost of entry is $41,400, which isn’t conducive to volume (according to Kelley Blue Book, the average transaction price for a new car in July was $34,264). 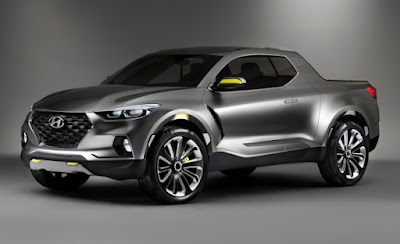 We are not expecting to see anything of the Hyundai Santa Cruz before the start of a new decade despite the fact that the design of the vehicle is said to be more or less completed. It seems that the car maker feels it isn’t the right time to launch the vehicle yet. The production version design is said to have now been finalized and it is thought that perhaps it might show up at the 2016 LA Auto Show or perhaps the 2017 Detroit Auto Show. The proportions and shape of the vehicle should remain much the same, while some of the more aggressive lines and contours may be smoothed out to make the vehicle easier on the eye when it goes into production. Cruz was announced very close to the second generation of the Honda Ridgeline and it is thought that when the Cruz arrives it will be taking on the Subaru Outback and Honda HR-V, along with the crossover which comes from the Ram 1500. 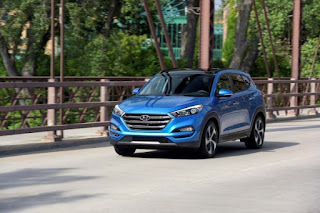 The Hyundai Santa Cruz has been based around the Hyundai Tucson and this means that it isn’t going to be able to double up as a workhorse, like the Honda Ridgeline can. It may be classed as a pickup but it is more like a crossover that comes with a bed. 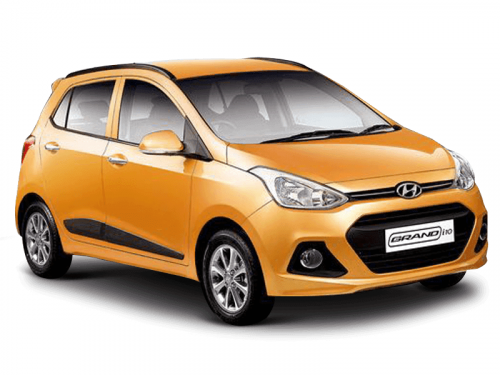 Hyundai Motors holds the second largest carmaker position in the Indian market. 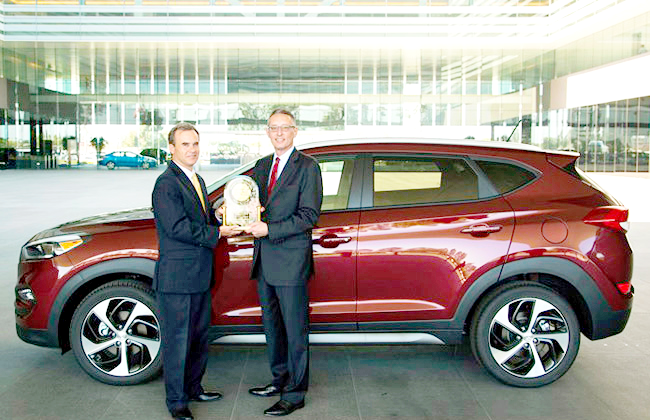 The recently launched Creta compact SUV has been contributing considerably to the Korean automaker’s total sales in the country and with the newly launched Elantra, the company expects to see a further growth in numbers. Hyundai Motor India is not just expecting to sell half a million cars this year, but also expects to emerge as the first one to reach that mark. Hyundai India sold about 475,000 cars in India in 2015 and this year it expects to witness a growth of about 6 per cent this year. Currently, the automaker holds about 17 per cent market share in the passenger vehicle segment and with the Elantra launch the brand will now strengthen its space in the executive sedan segment. Hyundai will be launching two new products every year and the next one to be rolled out during the festive season this year will be the premium SUV Tucson. 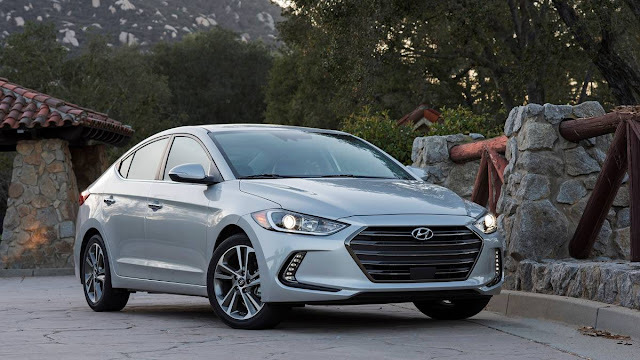 The new Hyundai Elantra is currently imported from South Korea and if the company sees an increase in demand for the sedan, it will consider locally producing the vehicle. The upcoming festive season will also see a boost in sales owing to the implementation of the Seventh Pay Commission report. The company is also ramping up Creta production to reduce its waiting period and address the growing demand. Hyundai announced Thursday that it has partnered with Amazon to let motorists use their home digital assistant Alexa to boss around their new Genesis luxury car. From inside their homes, owners of Hyundai's Genesis G90 sedan will able to use voice commands through their Amazon Echo speakers to command the Alexa system to have their cars perform certain basic functions, Hyundai says. So, for instance, the customer who wants the car running and air conditioning blasting for a daily commute need only say something like, "Alexa, tell Genesis to start my car at 70 degrees." Or an owner might bark, "Alexa, tell Genesis to lock my car" from the comfort of their living room. In addition, Alexa can flash the car's headlights, honk the horn or turn off a running engine. The feature, which went live Thursday, shows that Hyundai is serious about setting Genesis apart since it announced last year that it would become a stand-alone luxury division, much like Toyota's Lexus or Nissan's Infiniti. The automaker's officials say they are first with the feature, which is an accomplishment given how makers of prestige cars compete vigorously for any edge when it comes to technology. Plus, they say the feature is a perfect fit for Genesis. Being able to order basic functions by voice remotely will keep owners from having to run outside to do it themselves. "The Genesis brand is about convenience for the owner," says Barry Ratzlaff, executive director of digital business planning and connected operations. "Time is the ultimate luxury." Amazon's Echo has proved to be a hit and is believed to be forcing rivals to scramble to create their own home digital assistants. The system works much like Siri on Apple iPhones: Ask a question, get an answer. Alexa can field trivia questions or play music from a playlist. The Genesis function takes it into a new realm. An Amazon spokesperson could not be reached for comment. To sign up, owners of the new Genesis G90 need only link their Amazon account to their Genesis connected services account, Ratzlaff says. Connected services comes free for three years. Genesis is the all-new luxury brand aimed at taking on the likes of Lexus, Infiniti, and established European rivals. 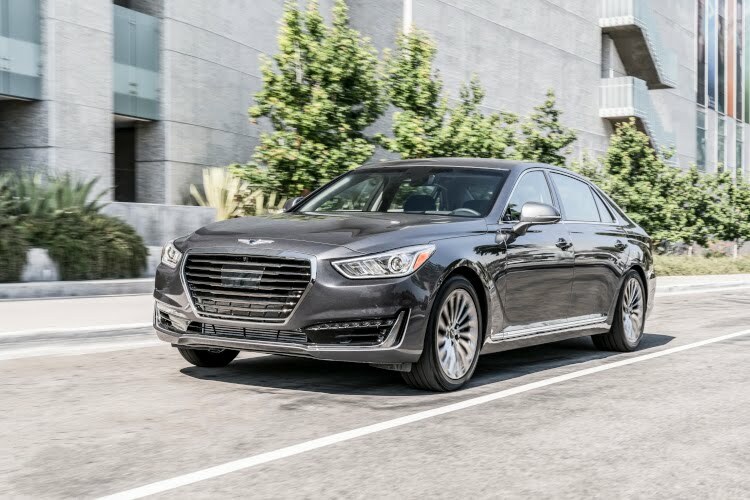 Spun off by Hyundai, Genesis is the result of nearly a decade of deliberation within the Korean parent company, whose dedication has catapulted it from back-marker to industry leader, collecting accolades along the way for design, value, and safety. The G90 is Genesis’s full-size flagship, but unlike some luxury cars based on non-luxury counterparts, the G90 isn’t a Hyundai with a fancy badge slapped on. It uses its own dedicated platform and is powered by one of two exclusive engines: either a 3.3-liter twin-turbo V-6 or a 5.0-liter V-8, both available with rear-wheel or all-wheel drive. We drove the V-6-powered G90 on a day-long road trip from Vancouver to Vernon, British Columbia, and found the 365 hp engine hearty and smooth. A superb power band offers plenty of power at every speed, with peak torque of 376 ft lbs coming in as early as 1,300 rpm, aided by an eight-speed automatic transmission developed from the one found on the now-defunct Eqqus, Hyundai’s previous attempt at a high-end sedan. Adjustable driving modes for the G90 include Adaptive, which can learn driving behavior and adjusts throttle response, shift points, and suspension accordingly. On long straight stretches of highway, we kept it in Adaptive mode and enjoyed a smooth quiet ride, aided in part by acoustic glass and a plethora of sound-dampening technology. Off the highway and up into the hills, we switched into Sport mode, which tightens up the steering and suspension, shifting at higher revs to maximize performance. The G90 is also equipped with an Eco mode for better fuel economy. Genesis shines when it comes to design. Just as Hyundai (and sister company Kia) lured away former Audi designer Peter Schreyer to oversee the design direction of all of its brands, Genesis also poached former Bentley designers Luc Donckerwolke and Sang Yup Lee to work on future Genesis models. “We made the decision on day one that design is what we are after,” says Erwin Raphael, general manager of Genesis and former head of the Western Region for Hyundai. The G90’s front grille is wide yet tasteful, with the Genesis winged emblem sitting atop. Stretched-back headlamps are accented with LED running lights in the air intakes below. A long hood and short overhangs hint at the car’s rear-wheel drive platform, while a distinct character line runs the length of the car into the wraparound taillights. The view from behind is just as elegant, with integrated dual exhaust pipes and an oh-so-subtle lip on the decklid. The interior layout is as good as any in the luxury space, with an arrangement of knobs and hard buttons that look orderly, not overwhelming. A 12.3-inch high-definition widescreen display sits atop an analog clock and is flanked by handsome wood trim. A 17-speaker premium Lexicon sound system with 10-inch subwoofer comes standard, as do heated and ventilated leather seats with a wide range of adjustability. Even the front headrests can move back far enough to accommodate ponytails or man-buns, a trick we discovered with the help of one of the Genesis engineers. Other standard features include semi-autonomous functions such as adaptive cruise control, lane keep assist, and automatic braking with pedestrian detection. Pricing details are expected to emerge in September, but Genesis executives say the Genesis G90 will cost more than the current Hyundai Genesis sedan, but less than any similarly equipped competitors, with deliveries slated to begin in September. Genesis covers maintenance for the first three years and offers a 10-year/100,000-mile powertrain warranty. 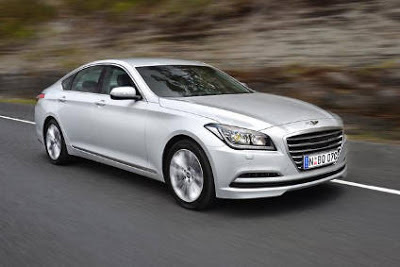 Hyundai does not plan to keep the Hyundai Genesis around for long since it will soon be sold under the new Genesis badge but if you are planning to get the Genesis right now, you would probably want to know what the owners are saying about the mileage of the Hyundai Genesis. The Hyundai Genesis comes with a 3.8 liter V6 engine that will be mated to a six-speed manual transmission and on paper, Hyundai stated that the Hyundai Genesis will be returning about 17mpg in the city and 24mpg on the highway. 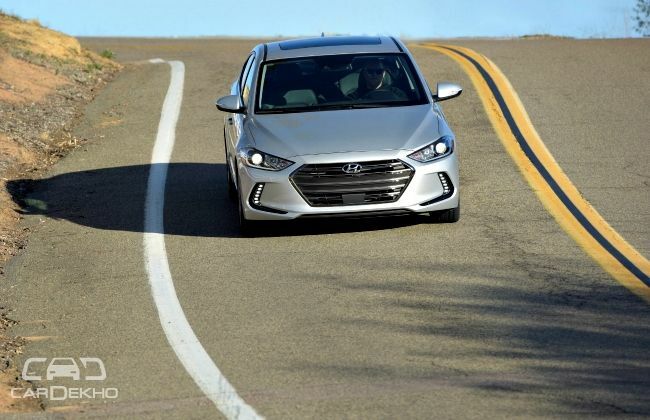 According to the owners, most of them agree that you will be able to get about 24mpg out of the Hyundai Genesis on average although some owners did report that they manage to get about 26mpg out of the Hyundai Genesis on the highway. 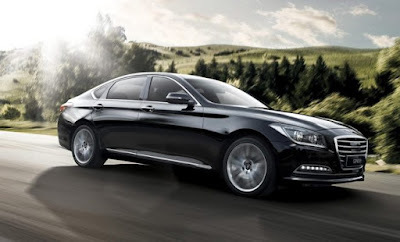 So it looks like if you are looking to save on fuel cost, the Hyundai Genesis is not that bad of a choice. The South Korean automaker is all set to launch its next-generation Hyundai Elantra tomorrow -- on August 23. The D-segment sedan will be more charismatic and lengthier compared to its outgoing version. Dealerships are accepting bookings for the same across the country (though unofficially). Sitting on a completely new platform, the new Elantra features major updates besides building upon the strengths of the existing car. The underpinning pushes the performance and handling of the Elantra to a new level; the durability is also enhanced. Moreover, the lighter platform helps in keeping the cabin noise on the lower side. The extended length and width call for a roomier cabin, though it was never an area of complain either in the existing Elantra. With respect to the engines, the 1.6-litre diesel mill is likely to be carried forward from the present Elantra, however, with tuned-up power figures – 140PS from existing 128PS. For the petrol powerplant, Hyundai might go in for a larger 2.0-litre 156PS motor in place of the current 1.8-litre pot. Transmission options will be same – a six-speed manual and a six-speed automatic gearbox. Hyundai cars are known for being feature-loaded and the new Elantra is no exception. It bundles in Hyundai’s signature hexagonal grille, which is flanked by sleeker, HID projector headlamps with dynamic bending lights, 17-inch alloy wheels, LED DRLs, LED tail lamps with graphics and a smart coupe-like roof. Inside the cabin, it gets a 4.2-inch LCD screen for instrument cluster, a seven-inch/eight-inch infotainment system supporting both Apple CarPlay and Google Android Auto. Besides, the new Elantra is offered with Blue-Link app support for both smartphone and smartwatch. A hands-free smart boot is a new incorporation. All you have to do is approach the rear with the key fob in your pocket and the trunk will open up automatically. Apart from swapping the bulbous exterior sculpture with a sharper design, the six-generation Hyundai Elantra also gets improved safety equipment such as seven-airbags, Electronic Stability Control (ESC), Vehicle Stability Management (VSM), Traction Control, Anti-Lock Braking System (ABS) and tyre-pressure monitoring system. The new Elantra is likely to be offered at a price upwards of Rs 15 lakh. It would be competing with the likes of the Toyota Corolla, Skoda Octavia, Volkswagen Jetta, Chevrolet Cruze and the upcoming Honda Civic. Stay tuned to know the exact prices post launch tomorrow! Among top global automotive groups, fifth-largest Hyundai Motor (HYMLF) is one of the last to publicly delineate a strategy for mastering autonomous or driverless technology for its vehicles. That could be about to change. In an interview with Bloomberg in Seoul, Hyundai president Jeong Jin Haeng hinted that Hyundai and Alphabet's (GOOG) Google unit may discuss expanding partnerships to gain expertise so the carmaker can remain competitive, especially in information technology. 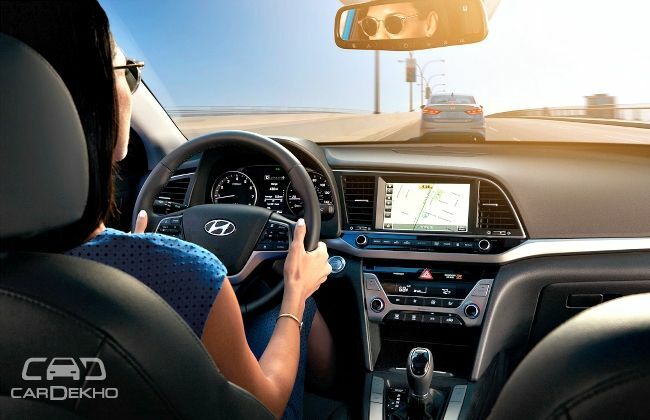 Until now, Hyundai has avoided partnerships, such as ones to design and build electric cars, though the automaker has been among the most aggressive to offer Apple Car Play and Google's Android Auto in its infotainment systems. A former Samsung executive, Hwang Seung Ho, who is now Hyundai's executive vice president for information technology, has said publicly that the company's go-it-alone penchant should give way to more partnerships with Silicon Valley firms and others to close the competitive gap with other automakers. Earlier this week, Hyundai officials in British Columbia sidestepped questions at the press launch of its new Genesis brand about how soon or whether the cars will offer driverless technology. The new Genesis G90 large sedan, about to arrive at U.S. dealerships, does feature an array of advanced safety devices that rely on sensors and software integration. "Hyundai is lagging behind the competition to develop autonomous vehicles," Ko Tae Bong, senior auto analyst at Hi Investment & Securities, told Bloomberg. "It's not a choice but a critical prerequisite for Hyundai to cooperate with IT companies, such as Google, to survive in the near future." LITTLE ROCK, Ark. (KTHV) -- Arkansas Children’s Hospital is one of 18 recipients across the country to receive a 2016 Hyundai grant from Hyundai Hope On Wheels and Little Rock-area Hyundai dealers. The $50,000 grant will be presented during a handprint ceremony, during which children affected by cancer will be commemorated. "This institution was chosen due to its proven track record of caring for children with pediatric cancer. These grant funds will be used to improve care and support for kids with cancer," said Hyundai in a press release. 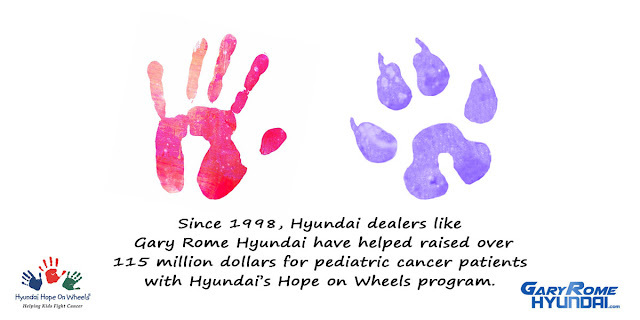 A main part of the ceremony will include a check presentation and capturing the handprints of young cancer patients on a white 2016 Hyundai Tucson, the Hyundai Hope On Wheels hero vehicle. Hyundai Rolls Out First Large Sedan for U.S Luxury Line. Hyundai Motor (HYMLF) is introducing its Genesis G90 sedan to the U.S. market, the first all-new model geared toward a strategy of creating a luxury brand to compete with Mercedes-Benz, Lexus, Cadillac and other automotive brands. Starting next month, the sedan will be available for sale and service at Hyundai dealers that have been authorized by the South Korean automaker to carry the brand, roughly 300 of the roughly 850 total franchisees. Hyundai shares have lost 5.9% over the past year, compared with a 9.3% gain for Kospi 100 Index of large South Korean equities. Journalists and reviewers have been driving the G90 this month at a Genesis event in Vancouver, British Columbia. So far reviewers have rated the car auspiciously, comparing its size, driving performance and appointments to those of Mercedes-Benz S Class, BMW 7 Series and Cadillac CT6. Prices haven't been announced. Unlike other automakers that have initiated luxury brands in the U.S., such as Honda's (HMC) Acura division and Nissan's (NSANY) Infiniti brand, Hyundai isn't requiring separate dealerships. Instead, Genesis models will be displayed at a "showroom-within-a-showroom" at Hyundai stores. Genesis dealers will be required to invest in valet services and loaner cars that customers can use when their cars require maintenance. "Genesis will be a symbol of respect, respect for our customers' most valuable resource, their time," said Erwin Raphael, general manager of the brand. "Why would anyone want to spend their Saturday morning bringing their car in for service?" G90 joins a smaller sedan, G80, that has been on sale at Hyundai dealerships. G90 replaces Hyundai's earlier Equus full-size premium sedan that was a precursor to developing a full luxury lineup and brand strategy. The automaker intends to introduce at least four more Genesis models through 2021, including two SUVs, a G70 sedan and a coupe. Raphael noted that luxury vehicles now account for 12% of the U.S. vehicle market "and we think that there is growth potential." G90 will be offered with few options. All advanced safety features such as adaptive cruise control and adaptive lane keeping will be included as standard equipment. Besides color, a customer can choose rear-wheel-drive or all-wheel-drive, a new 3.3-liter V6 with 365 horsepower or an existing 5-liter V8 with 420 horsepower. For Hyundai, the creation of a luxury franchise is an important step toward competing globally with other top automakers. Genesis models are sold in South Korea, though the automaker has said nothing concrete about plans to compete in the Chinese or European luxury markets. The biggest issue is trying to get three- to five-year owners back in. Oftentimes our dealers are price competitive -- we could do better -- but the customer has a perception that the aftermarket is cheaper. The second part of the problem is cost management. We put a lot on the dealer in terms of facility and training of personnel and top-flight equipment. Over the last few years we've talked to dealers about getting into a multishift [service] operation, two or three shifts and to be open Saturdays and Sundays so you can spread the overhead cost. The other piece of driving cost down is automation. Tablets help you sell more. They help the customer feel better about the visit. It demonstrates technology and some of the benefits the dealer can offer, and so we are on a big push to do that. We will provide parts as long as there is demand. In some cases there is legislation that forces us to have parts available. It gets to be a bit of a challenge, with complexity increasing and we have a broader product lineup. But we are absolutely committed to doing that. Our parts partner is Hyundai Mobis. They are our third-party parts supply company. They are adding parts warehouses around the country to keep up with demand. On the challenges of moving into the luxury market with the new Genesis brand. Luxury customers' expectations are very high. We see that with the Equus, which we've been selling for three years. Our Genesis lineup has attracted people from Lexus and BMW. We are putting in place lots of customer-handling requirements for the dealers, lots of special stuff. The new G80 Genesis sedan will be sold by more than 800 dealers. Executing that luxury experience is a challenge. Hyundai has given us our first official look at its upcoming i30 hatchback. The car, which has been spied in prototype form, is the Korean automaker’s rival to the Ford Motor Company [NYSE:F] Focus and Volkswagen Golf. It’s also the successor to our Elantra GT though yet to be confirmed for sale in the United States. We’ll know soon as Hyundai plans to unveil the i30 online on September 7. Its world debut will take place later that month at the 2016 Paris auto show. The European-designed car is closely related to the latest Elantra sedan but from the teasers we can see it features unique treatments for the headlights and grille. The latter is referred to as a “cascading” grille and said to be the latest evolution of Hyundai’s corporate grille design. The graphic of the taillights is also different to what features on our Elantra. Hyundai has also confirmed that the i30 will serve as the basis of the first model from the N performance division. Prototypes of this model, which will likely be dubbed an i30 N, have also been spotted in the wild. ARLINGTON, Virginia — The 2017 Hyundai Santa Fe midsize SUV received some safety upgrades and earned the highest 2016 Top Safety Pick+ award from the Insurance Institute for Highway Safety. The improvements boost protection in a small-overlap front crash, which replicates what happens when the front corner of a vehicle collides with another vehicle or hits an object like a tree or utility pole. The three-row Santa Fe, a distinct model from the two-row Santa Fe Sport, previously earned a Marginal rating in the small-overlap test, and the 2017 model earned a Good rating, the IIHS noted in a statement. Hyundai reinforced the passenger compartment beginning with the 2017 model year. After production started, the driver's seat belt was modified to further improve small-overlap protection. The 2017 Santa Fe, which is on sale now at Hyundai dealerships, earned ratings of Good in all other IIHS crash tests. In addition, the Santa Fe's optional front-crash prevention system earned the highest rating of Superior. When equipped with the system, the Santa Fe avoided crashes in 12-mph and 25-mph track tests. Standard safety equipment on the 2017 Santa Fe includes electronic stability control, traction control, antilock brakes, a rearview camera and seven airbags. New optional safety equipment includes smart cruise control, lane-departure warning and automatic emergency braking with pedestrian detection. The National Highway Traffic Safety Administration has not rated the 2017 Santa Fe. Key Santa Fe competitors include the Chevrolet Traverse, Ford Explorer and Nissan Pathfinder. The report by J.D. Power reveals that Hyundai Tucson outscored all the other entries in the segment and performed exceptionally well in the seats, Heating Ventilation and Air Conditioning (HVAC), visibility, driving, exterior, storage, fuel economy, audio/communication /navigation/entertainment and cabin categories to grab the prestigious award. 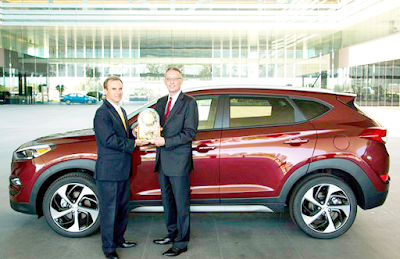 Receiving the award, the Director of Product Planning, Hyundai Motor America said, “We are thrilled with the recognition of Tucson in this year's J.D.Power APEAL study. J.D Power conducts various studies and polls to find the best services, best cars in different segments and customer satisfaction. July proved to be yet another record-breaking month for Hyundai and Kia, with combined U.S. sales at the two brands rising 6 percent to 134,972 cars and light trucks. It was the best July on record for the pair. Hyundai reported 75,003 sales, a 5.6 percent increase, while Kia sold 59,969 vehicles, a 6.5 percent jump from July 2015. The two brands’ success came as rivals such as GM, Ford, and Toyota posted declines and analysts warned of rising incentive spending and a sales plateau after six years of consecutive gains. Much of the gains for Hyundai and Kia occurred as the two automakers tapped consumers’ unending appetite for light trucks. 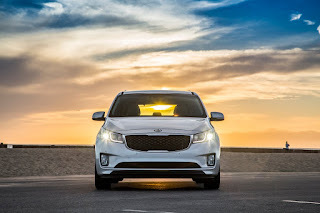 Sales of Kia’s Sportage compact crossover jumped 53 percent to 8,111, Hyundai’s redesigned compact Tucson crossover racked up sales of 7,728, a surge of 98 percent, and the Hyundai Santa Fe and Santa Fe Sport combined for a 23 percent increase in sales, to 14,336 in July. Even deliveries of Kia’s Sedona minivan rose 37 percent to 5,037 last month. Both automakers also bucked the industrywide trend of declining small car demand; Sales of Kia’s subcompact Rio and compact Forte jumped 50 percent and 31 percent, respectively, while sales of Hyundai’s subcompact Accent rocketed up 65 percent, with sales of 7,046. 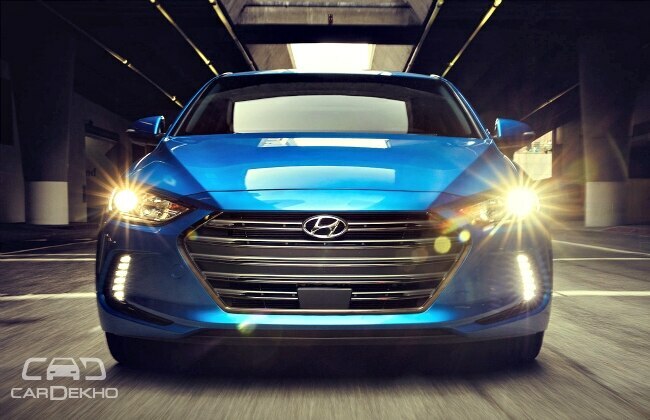 Surprisingly, demand for Hyundai’s redesigned Elantra slipped 6.8 percent to 20,629 units. Things were less rosy for the pair’s midsize and larger sedans. Hyundai’s Sonata was down 14 percent with sales of 20,635, while its twin, the Kia Optima, dropped 23 percent to 9,780. 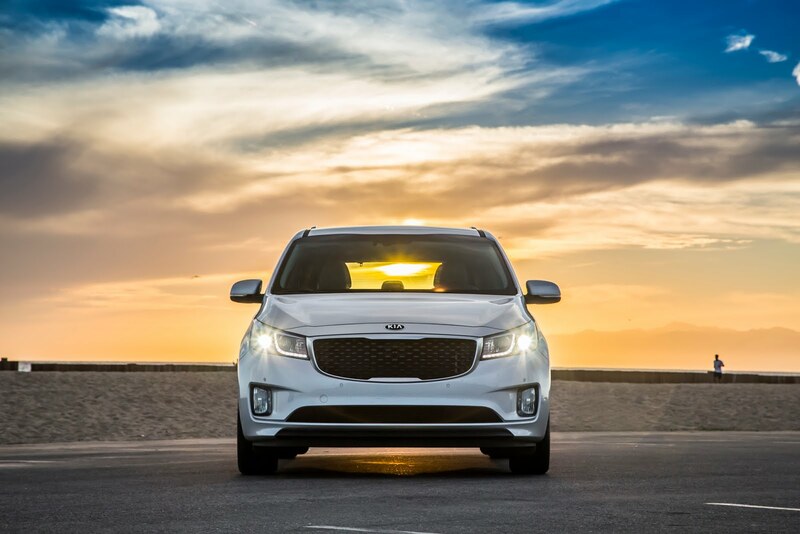 Sales of Kia’s full-size K900 fell off a cliff, dropping 87 percent versus a year earlier, with just 61 sedans sold. Hyundai and Kia each spent less on incentives in July than the industry average of $3,225 per vehicle, which jumped 5.2 percent from last year. 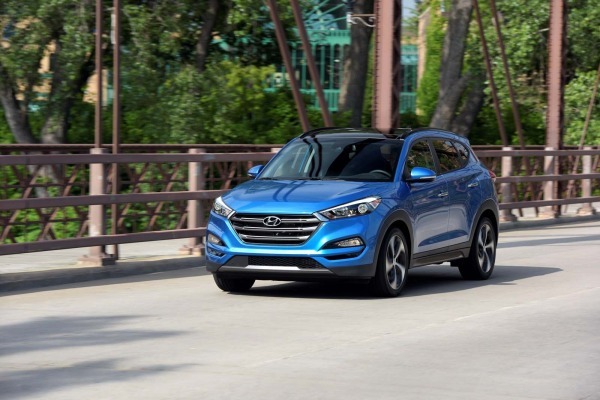 Hyundai spent $2,328 on incentives last month, or 13 percent less than July 2015, while Kia spent $2,699 on deals, an 11 percent drop from last year, according to TrueCar forecasts.